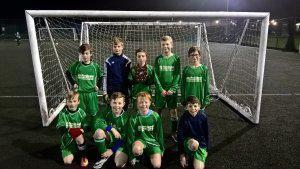 Congratulations to the Year 6 Boys Football Team who won this years Rutland Primary Schools Football League. The WWW Approach - do you know WHO your child is talking to online, WHAT they’re doing online and WHERE they’re going online ? CEOP videos - 'Lee Kim' suitable for 5-7 yrs, 'Jigsaw' suitable for 8-10 yrs, The Parent and Carer Guide to the Internet. Texting abbreviations and symbols - information sheet - do you know what they mean? Jargon Buster - to help you understand the terms you might not be familiar with! "Langham at War" year 5 poetry showcase. Key Stage 1 "Do the Christmas Rock"